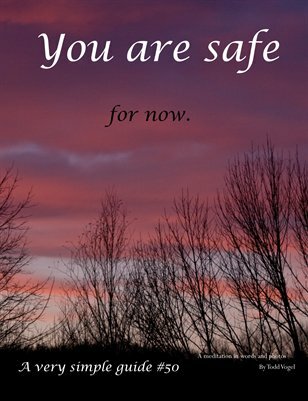 You are safe - for now. The rain has stopped, the winds howl less, the restraints have been removed and here you are. Lucky to be alive. Using nature photographs of still waters this Very Simple Guide dares to suggest finding a new course. Very Simple Guides: You are safe - for now.